Former One Direction star, who is rumoured to be worth £40 million, has revealed that he does not want to leave the E.U. Come on Harry, live while you’re young! Harry Styles (as with most Remoaners) seem to have forgotten that we had a national referendum in which 17.4m people voted for the UK to leave the E.U. But regardless of the facts, the 23-year-old was quoted in saying that he would vote for “whoever is against Brexit”. Thankfully and quite clearly, 23-year-old’s don’t know any better…. He said the push to leave the EU is “creating the kind of world he does not want to live in”. So Harry wants to live in an Islamic Sharia law world then? We’re sure that they’ll really welcome you with open arms there. Styles has also revealed that his solo album ‘Sign of the Times‘ is influenced by Brexit and the political landscape in both the UK and US. Excuse us, but what do you mean?! With that in mind we wonder if Styles will be lending his endorsement to Jeremy Corbyn during the election. Maybe a duet with Diane Abbott to get those 18–25 year old Labour voters to go out and tick Labour on the ballot forms, perhaps? Then again, Music and politics shouldn’t really mix, just look at Bob Geldof for christ sake! 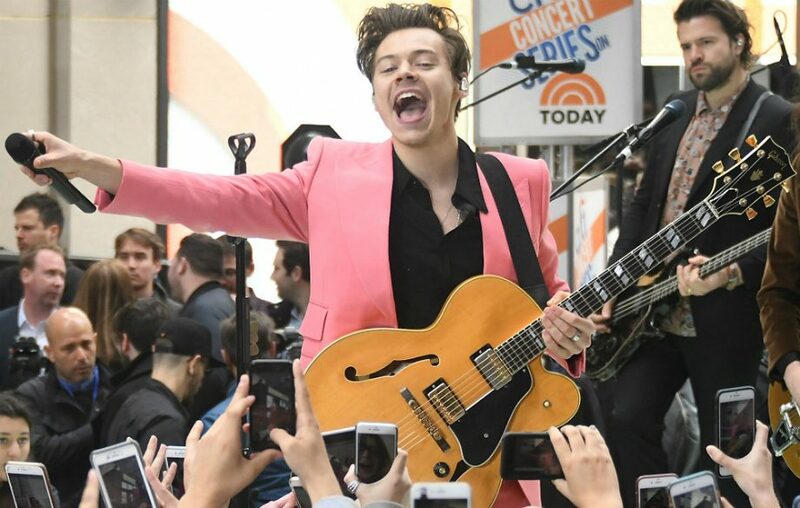 With the rumoured net worth that he has pocked since auditioning for the X-Factor in 2010, maybe Styles can contribute to the apparent £84 Billion “Divorce” bill that European Commission President Jean-Claude Juncker has demanded the UK pay, as part of the Breixt negotiations that are still ahead of us. Brexit means Brexit. The UK is leaving the E.U, whatever left-wing virtue signalling popstars like it or not. And in the words of Harry Styles and his former manufactured boyband, that’s what makes Brexit beautiful.